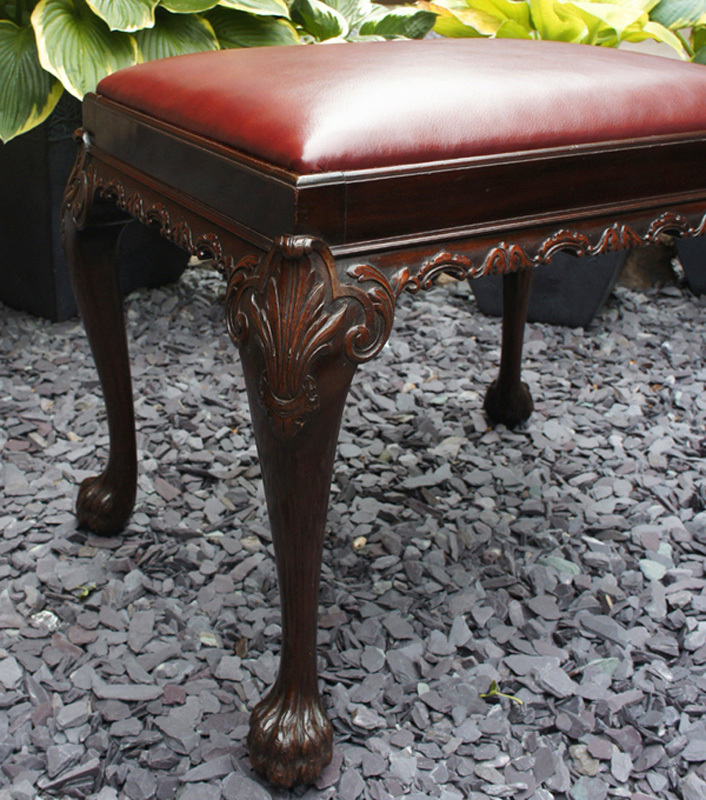 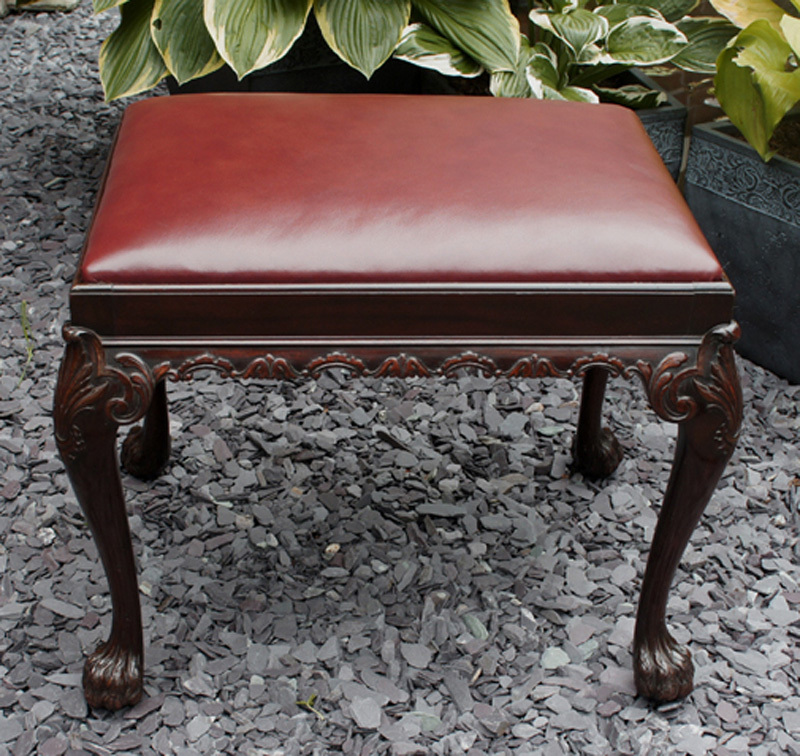 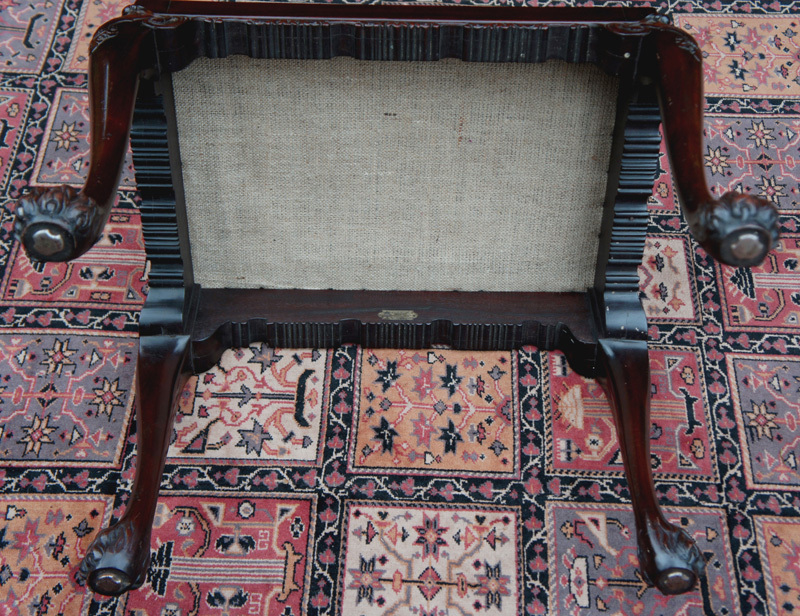 This top quality antique mahogany stool was made by the cabinet makers *Waring and Gillow* in the Chippendale style. 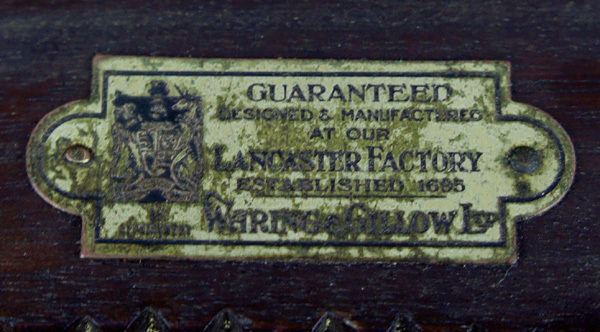 Made in their Lancaster factory, there is a metal makers label attached to one of the seat rails. 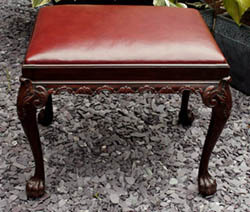 The solid mahogany frame has a carved border of scrolls and leaves and stands on bold cabriole legs with similar carving to the knees. 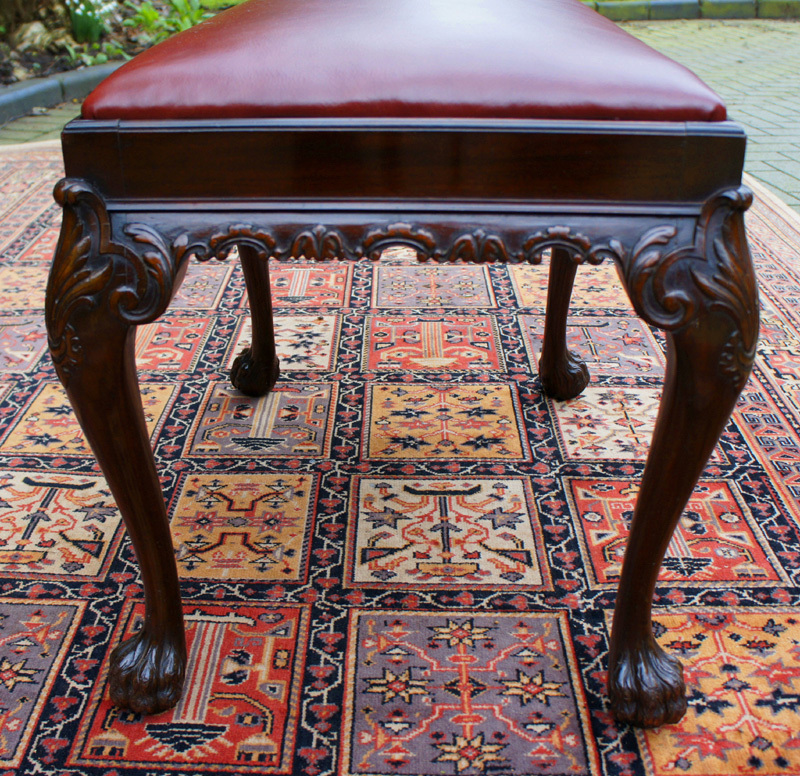 The legs terminate in well carved hairy paw feet. 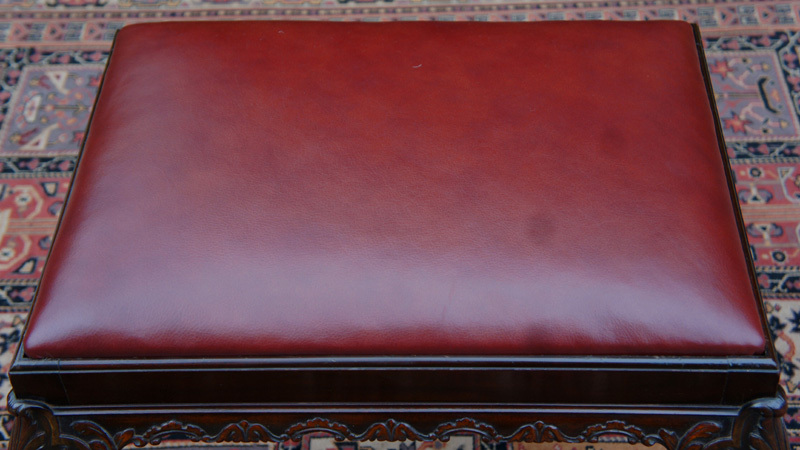 has been upholstered in a chestnut coloured hide. 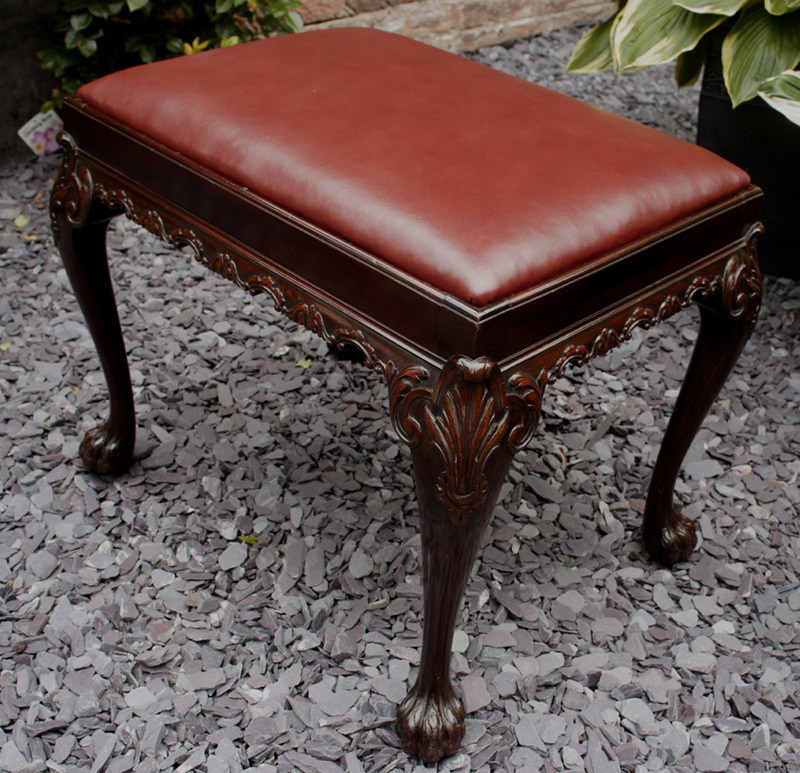 *Waring and Gillow were formed in 1897 by the merger of 'Gillows of Lancaster' and Waring of Liverpool'.